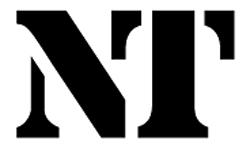 Nice to see Ian Dennis's National Theatre logo has been voted by readers of Creative Review as one of their top ten favourites. Ian worked on the project in 1974, and it has been featured in the April issue of the graphic design magazine, alongside Michelin, World Wildlife Fund, and Woolmark. His logo beat those of Apple, NASA and the London Underground to number ten in the top twenty list. Ian, who now runs Indent Design in Reading, graduated in 1973 in Typography and Graphic Communication and almost immediately went to work for legendary Dutch designer FHK Henrion. ‘Henrion had been working on a design but had to go to a conference, so he asked us all to have a go.